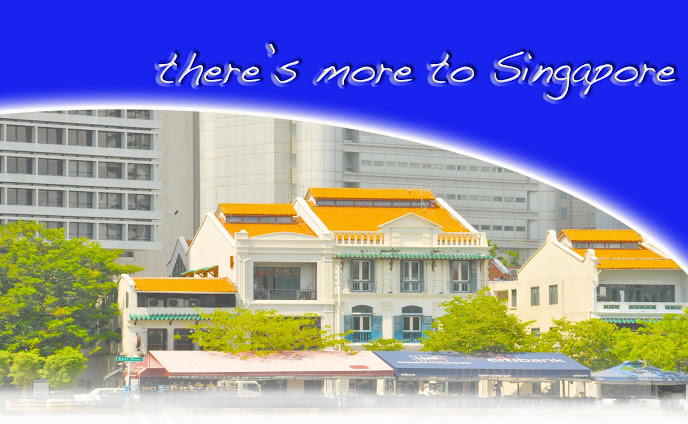 our life in Singapore: Selamat Makan! 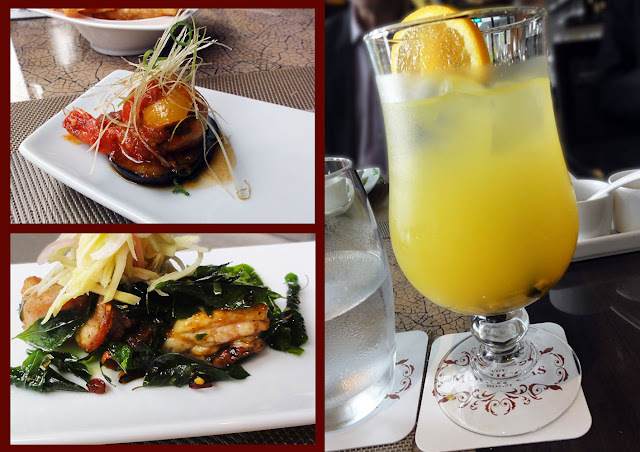 We recently had lunch at The Moluccas Room at Marina Bay Sands. This was a whirlwind trip around the islands of Indonesia sampling the most delicious and freshest of foods available from each region. A true Indonesian experience whilst enjoying lunch on the south side of Marina Bay in Singapore! The invitation came "to experience the warm Indonesian hospitality of fine dining and cuisine, using French cooking techniques, presented with contemporary style". I could not see how Indonesian cuisine and French cooking techniques could 'marry' then throw fine dining into the mix, just did not seem possible. But it is possible and The Moluccas Room did it very well indeed. But this could not happen if it were not for the delightful - Indonesian born - Chef Alicia Tivey with 20 years of experience in the kitchen. 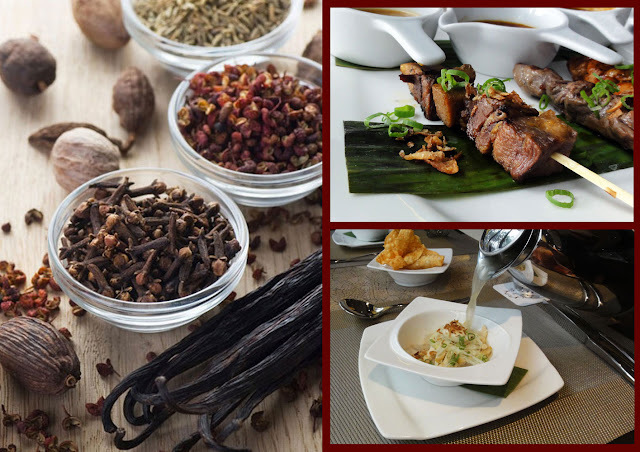 Chef Alicia's passion for Indonesian cuisine and her French cooking training certainly came through in every dish we sampled. 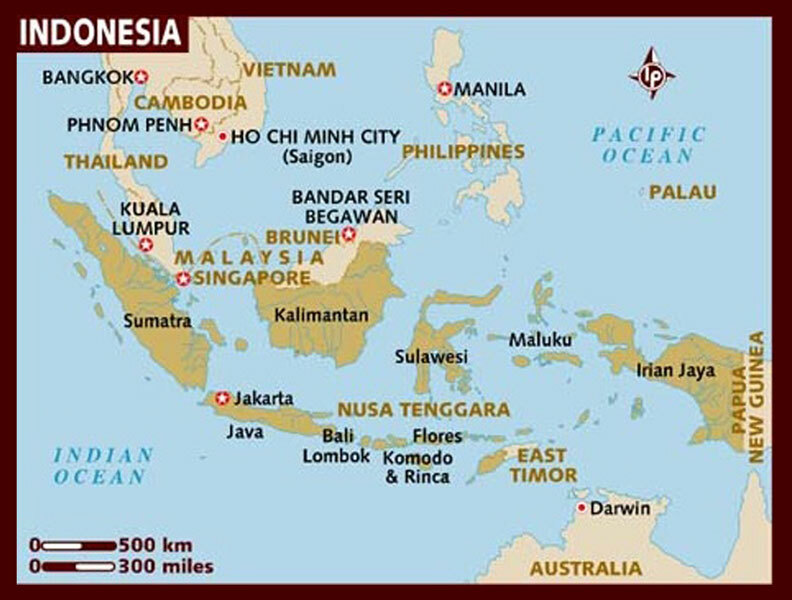 above image: the image of the spices on the left are 'borrowed' from the Moluccas Room website! top right is a sample of the Sate's available. We had the Sate Padang Lidah Sapi, the Sate Angus and the Sate Ayam Madura. I certainly enjoyed the Sate Padang Lidah Sapi, a buttery rich Angus beef tongue sate done Padang style served with warm and thickened beef broth sauce. It was tender and delicious! lower right: Soto Ayam Lamongan Indonesia's most well-known chicken soup that warms the soul and taste buds with aromatic spices and marinated chicken shreds.... distinct flavours, leaving a refreshing 'after taste'. Tantalize your taste buds with any one of the many varieties of satay that is on the extensive menu. above image: on the right, a fresh passionfruit juice. top left: Udang Blado Padang. .Fried king prawn topped an aromatic Western Sumatra sauteed chilli sambal. lower left: Ayam Sakura Tangkap Aceh Selada Mangga .. Tangy green mango salad and aceh styled deep fried shrimp paste marinated chicken chunks garnished with a mix of aromatic fresh herbs and crispy shallot flakes. The mouth watering Ayam Sakura Tangkap Aceh Selada Mangga would be a perfect start to any meal. top right: Ikan Bakar Jimbaran ..Sweet and spicy grilled fresh fish fillet. lower right: Angus Steak Rendang. 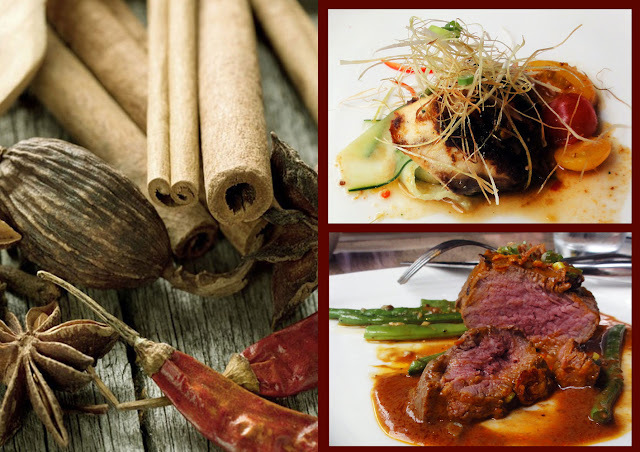 Tender beef steak tenderloin topped with an extremely flavourful Javanese style rendang curry sauce. We both thought that the Angus Steak Rendang was very different to any rendang we had had in the past. It was tender and full of flavour and we highly recommend it! above image: Sri Kaya Creme Brulee, a creamy coconut custard fragrantly flavored with pandanus and topped with the perfect caramelised crust accompanied with a scoop of home made Indonesian flavored ice cream. We ended the meal with desserts, and the Sri Kaya Creme Brulee topped with an aromatic caramelised crust was simply delicious. This arrived at the table with a scoop of the Indonesian home-made flavoured ice cream. 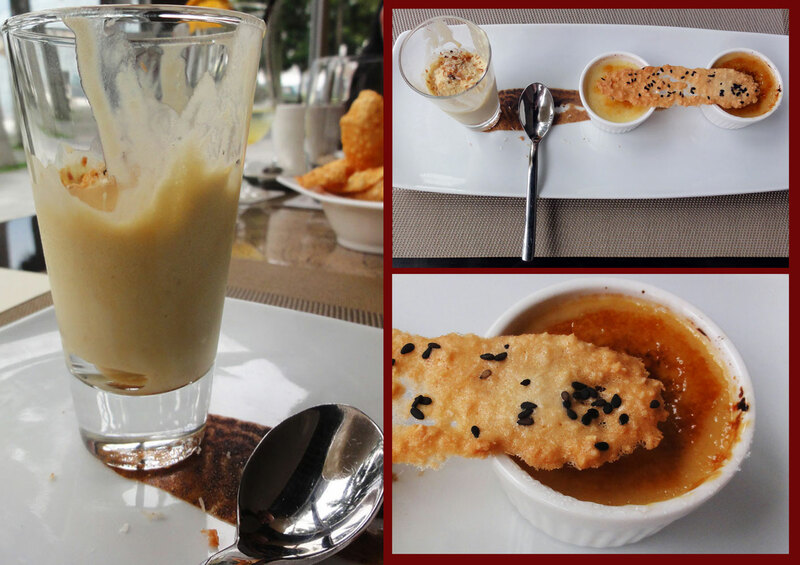 This dessert sure ends the meal on a lighter note with the French desserts created by using Indonesian flavours. above image: on the right, yes there was a tropical downpour whilst we were there, but it did not detract from our dining experience at all. We were well protected sitting inside watching the rain outside. top left: internal image of The Moluccas Room. Tables set well apart, seating quite comfortable. lower left: the view from The Shoppes area - of The Moluccas Room - at Marina Bay Sands. 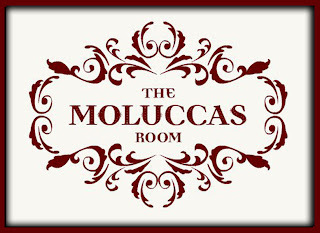 The ambiance at The Moluccas Room is the perfect setting for a business lunch, romantic dinner, afternoon tea with friends or perhaps just a light meal with drinks before heading towards the ArtScience Museum for one of the excellent exhibitions that is on. 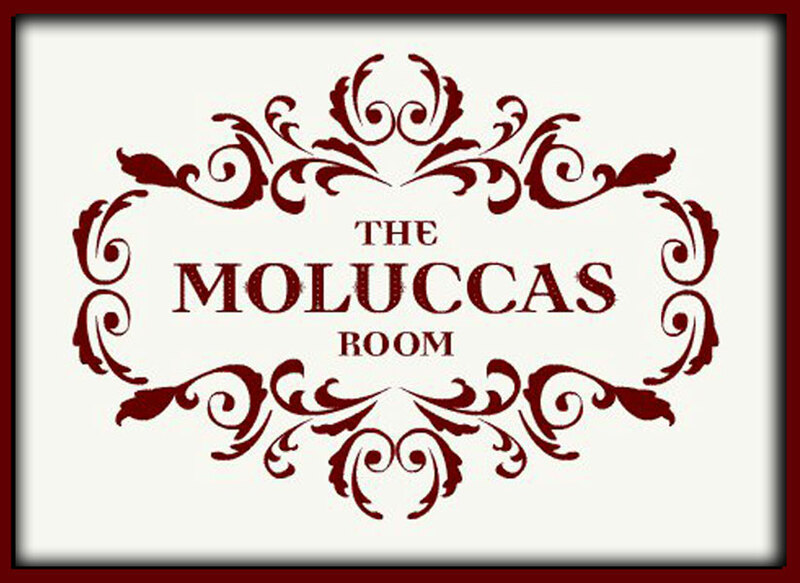 The Moluccas Room has a private dining room to seat 14 persons and is ideal for a business meeting, a Christmas function or any other 'event' that would be suitable. You will also find that there is an impressive wine list and the staff here very attentive to your every need. The Moluccas Room has floor to ceiling windows that looks out towards Marina Bay with the city skyline as a backdrop and you can't beat the Singapore skyline for the view! Moluccas recently launched a high tea menu that is available between 3:00 and 6:00pm. We personally did not 'experience' the High Tea, but going by the menu (in part - as seen below) we are definitely putting this on the "Must Do List"
presenting an Aphrodisiac of Preserved Dried Apricots, Prunes and other fruits, assorted gourmet nut selections and our Moluccas Gula Melaka Macaroons with lip-smacking spicy Belgian Chocolate dip on the side. 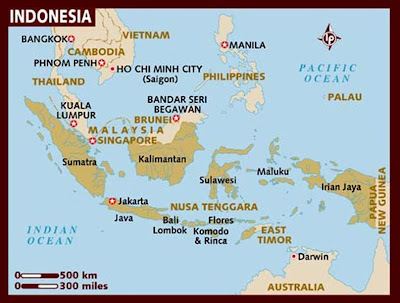 but if you are not a chocolate freak then perhaps take in the Moluccas Posh Tea Society for 2 or the Dessert A La Carte! 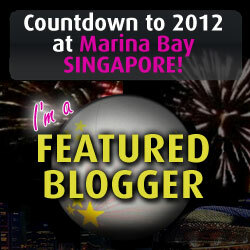 on the Singapore culinary scene! 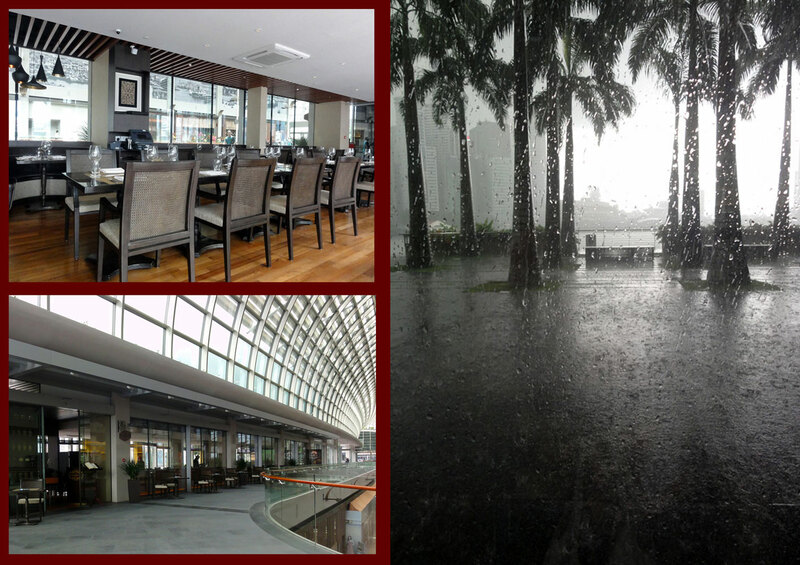 From now until 31st July 2012, use your UOB credit/debit card at the restaurant with a minimum of $100 spent and enjoy complimentary Sampan Ride for two! We would like to thank LeRoy Chan and FoodNews for the kind invitation to dine at The Moluccas Room and we also extend a very sincere thank you to Chef Alicia and her staff for the "fine Indonesian dining experience"
"This blog resulted from an invitation and represents the thoughts and opinions of the writer. All information on this blog is provided "as is", with no guarantee of completeness, accuracy or timeliness and the writer will not be liable for any losses, injuries or damages from the display or use of this information. All text and photos on this blog are the original works of the writer unless stated otherwise." Seconding Laura! It all looks delicious and I love your photos.